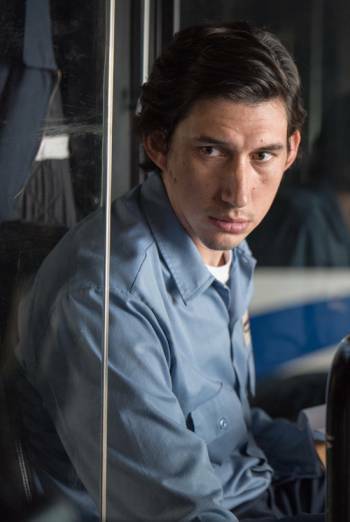 Cast includes Adam Driver, Golshifteh Farahani, Helen-Jean Arthur, Owen Asztalos, Kacey Cockett, Luis Da Silva Jr.
Summary PATERSON is a US drama following a week in the life of a bus driver and aspiring poet in the city of Paterson, New Jersey. PATERSON is a US drama following a week in the life of a bus driver and aspiring poet in the city of Paterson, New Jersey. Occasional use of strong language ('f**k', 'motherf**ker'). There is very brief moderate threat when a man produces a gun in a bar, but he is quickly disarmed and the weapon revealed to be fake.